YAY! I just added several new Halloween printables! Hop over to the Pluff Mudd shop to check them out! You can use them as favor tags, treat bag decorations, scrapbooking, etc. 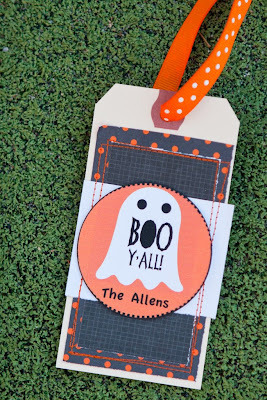 Val, from Crafty Go Lucky, really jazzed this "Boo Y'all!" tag up! Very cute! I used these these tags to attach to my favorite candy corn cookie bark for the neighbors. :) I think I may also give some goodies to Cate's teachers. I can not wait to show you the adorable witch broom favors and party circles! Check back for the tutorial!!! I am a full-time working mom obsessed with parties, everything pretty, and yummy recipes. Creating something fun, crafty, or delicious for my family makes me feel very proud and joyful. 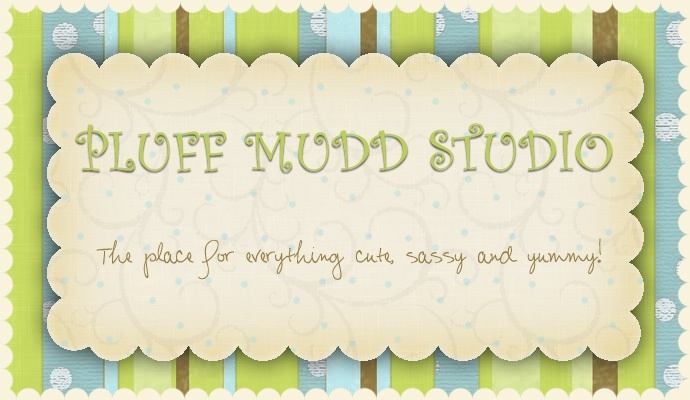 I hope that you gain some inspiration and joy from the ideas shared on Pluff Mudd Studio. Share the Love and Add the Pluff Mudd Button to your Blog! Have you been featured? Pick up some bling for your blog? ?